We don't just advise. We lead you and your team to victory. Luxburg Carolath Asset Management AG (LCAM) is a globally operating asset management company providing financial services in form of consulting and supervision of transactions. 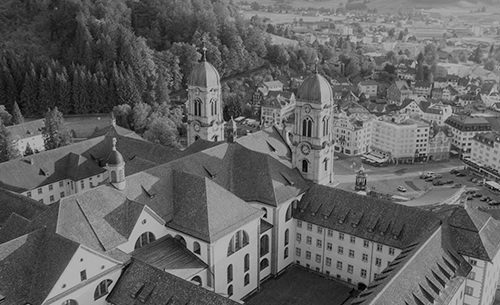 As a 100% subsidiary owned by the Luxburg Carolath Holding AG, headquartered at Schloss Knonau, Switzerland, LCAM focuses on the sale of financial products of the Luxburg Carolath Group. Proprietor of Strong Historical Foundations Which Trace Back Hundreds of Years. Structured asset management services, only for liabilities contracted by a particular sub-fund. An asset management company (AMC) is a company that invests its clients’ pooled funds into securities that match declared financial objectives. Asset management companies provide investors with more diversification and investing options than they would have by themselves. AMCs manage mutual funds, hedge funds and pension plans, and these companies earn income by charging service fees or commissions to their clients. Here at Luxburg Carolath Asset Management AG, we offer our clients diversification because they have a larger pool of resources than the individual investor could access on his own. Pooling assets together and paying out proportional returns allow investors to avoid minimum investment requirements often required when purchasing securities on their own, as well as the ability to invest in a larger set of securities with a smaller investment. Luxburg Carolath invests a lot of its resources into its trusts and trust management services. A trust is a legal entity whereby a person (trustor) designates another person or entity (trustee), to prudently and ethically manage the property conveyed to the trust for the benefit of themselves or others (beneficiary). Your trust can be revocable (subject to change) or irrevocable (unchangeable), and management of your trust can begin during your life or following your death. Trusts are established to accomplish objectives unique to your personal circumstances and needs. There are many reasons to set up a trust based on circumstances unique to you. If you answer “yes” to any of these following questions, then you should consider establishing a trust. Would you like to take advantage of available tax benefits and protect your family’s wealth for generations? Are you financially responsible for young children, aging parents, or other family members with serious illnesses or challenges, or anyone else who would financially suffer without your assistance? Do you have any type of assets such as minerals, farm, ranch, valuable collections of any type, or significant property that would need professional management if you could no longer do so? Do you prefer to focus your time, talent and energy on endeavors besides managing your own property or finances? If something happened to you, would your heirs have the education, background, talent, time, and skill to manage your property wisely and according to your wishes? Would any personal conflict among your heirs create unnecessary problems? Do you value your privacy and wish to keep all of your personal financial information confidential in case of your incapacity or death? Do you value the work being accomplished by an educational institution, religious organization, hospital, or other charity, and would you like to make a tax advantaged transfer or legacy gift to them? Experienced and rewarding financial consulting services, for those who deem it necessary. The financial consulting services are the head of all the other services related to finance like banking, insurance, and retail management. This industry looks over all the other economic activities and tries to manage the risk that can be encountered within the economic sector. 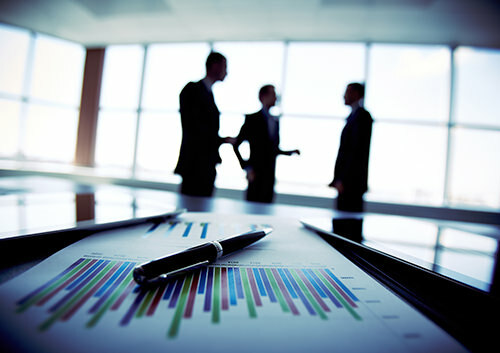 There are number of consulting firms and agencies that are providing solutions regarding the economic related queries. With the coming of internet this industry works through e-commerce. We at Luxburg Carolath Asset Management AG offer personalized manpower placement services with the objective of meeting the individual specific requirements of our clients in the most efficient manner. We are a team of highly experienced manpower placement consultants, who work with the highest integrity to ensure best fitting manpower staffing solutions for each assignment. All our manpower staffing consultants have previous experience in world’s leading corporations and human resource consulting firms and thereby provide the best staffing solutions. Analyzing both, the business as well as the private credit-score, allows our clients a more detailed understanding of their financial capabilities. BankenScore is the only platform across Europe that allows small and medium-sized businesses to check their creditscore for free, optimize it and receive matching credit-offers. 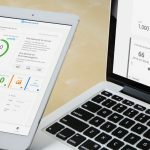 BankenScore provides both the business as well as the private creditscore, which allows business owners to understand in detail how banks and other lenders make credit-decisions. Fully functional banking services in cooperation with custodian banks from 11 different countries across the globe. Hold in safekeeping assets/securities such as stocks, bonds, commodities such as precious metals and currency (cash), domestic and foreign. Arrange settlement of any purchases and sales and deliveries in/out of such securities and currency. Collect information on and income from such assets (dividends in the case of stocks/equities and coupons (interest payments) in the case of bonds) and administer related tax withholding documents and foreign tax reclamation. Administer voluntary and involuntary corporate actions on securities held such as stock dividends, stock splits, business combinations (mergers), tender offers, bond calls, etc. Provide information on the securities and their issuers such as annual general meetings and related proxies. Maintain currency/cash bank accounts, effect deposits and withdrawals and manage other cash transactions. Perform additional services for particular clients such as mutual funds; examples include fund accounting, administration, legal, compliance and tax support services. Professional and efficient support and planning services for all financial requirements. FINAPORT is a Swiss wealth management firm with offices in Zurich, Singapore and Miami. Core business is modern, global private banking with the aim to maintain and increase clients’ assets. Quality and success are the highest priority. Clients are wealthy individuals and families from around the world and FINAPORT provide them with advice and solutions tailored to their specific needs. Luxburg Carolath Asset Management AG (LCAM) is a globally operating asset management company providing financial services in form of consulting and supervision of transactions.